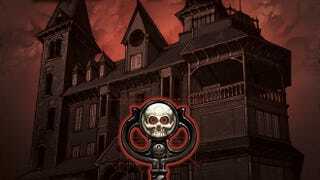 Barring some kind of last-minute disappointment (the likes of which have only been seen three or four times before), Netflix has announced that it’s picking up an adaptation of Joe Hill and Gabriel Rodriguez’s Locke & Key. That comes from The Hollywood Reporter, which says Netflix has given the project a straight-to-series order and that Lost veteran Carlton Cuse will act as showrunner. Cuse was also set to be the showrunner for Hulu’s failed Locke & Key adaptation, but this version of the project will be unrelated to Hulu’s. To that end, It director Andy Muschietti will now only serve as an executive producer on Netflix’s show, with the series getting a new cast and a new director. We don’t know who will be in the cast, but either way the story of Locke & Key is about some kids who move into a spooky house with their mom after their dad gets murdered. At the risk of spoiling too much, there are also some magical keys that cause weird problems and set off some scary adventures. Netflix hasn’t commented on any of this because “deals are not done,” so we don’t know when Locke & Key might be hitting the streaming service—again, barring some last-minute twist where the project gets canceled for a fifth time.